This code pattern shows you how to train a machine learning model to predict type 2 diabetes using synthesized patient health records. Using synthesized data allows you to learn about building a model without having to worry about privacy issues associated with the use of real patient health records. This project is part of a series of code patterns that focus on a fictional health care company called Summit Health, which stores electronic health records in a database on a z/OS server. Before running the notebook, the synthesized health records must be created and loaded into this database. The code pattern Transform and load big data CSV files into a database provides the steps for doing this. The records are created using the Synthea tool, transformed, and then loaded into the database. Log in to IBM Watson Studio. Load the provided notebook into Watson Studio. Load the data into the notebook. 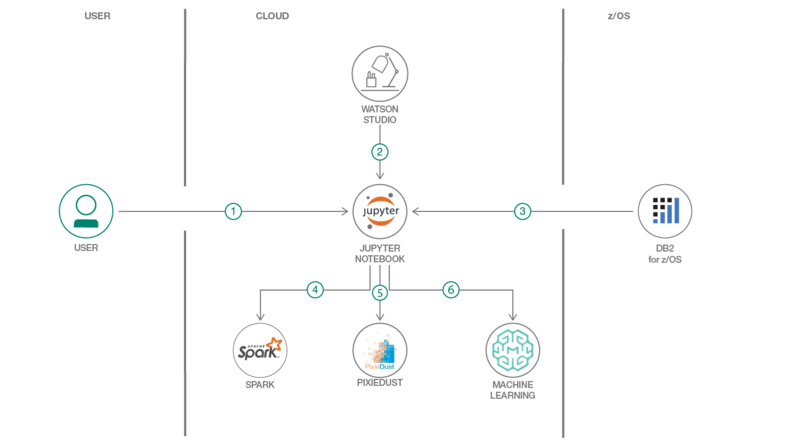 Transform the data with Apache Spark. Publish and deploy the model with Watson Machine Learning. Sign up for IBM Watson Studio. Create a Watson Machine Learning instance. Add the notebook to your project.